In an attempt to save his struggling mattress business during the recession, sixty-something Michael Flynn teams up with aspiring film maker Paul Kelly to reinvent himself as the eccentric online persona ‘Mattress Mick’. 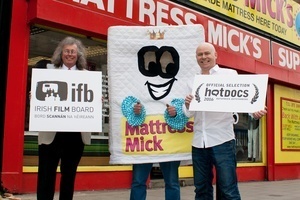 Through Paul’s zany videos and creative use of social media Mattress Mick quickly becomes an unlikely local celebrity. However as the business and Mick’s profile begins to grow, their friendship comes under increasing pressure. 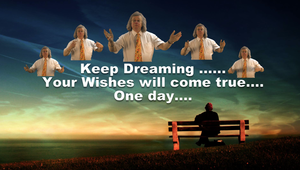 Iam contacting you from El Zorrero Films about an upcoming feature length documentary telling the story of Mattress Mick. The film will screen at HotDocs – the Hot Docs Festival is North America’s largest documentary festival – as part of the “Future Cult Classics” programme. Posted in Misc and tagged Mattress Mick at 4:36 pm on March 22, 2016 by Broadsheet. I’m actually looking forward to this! The film that has everything!